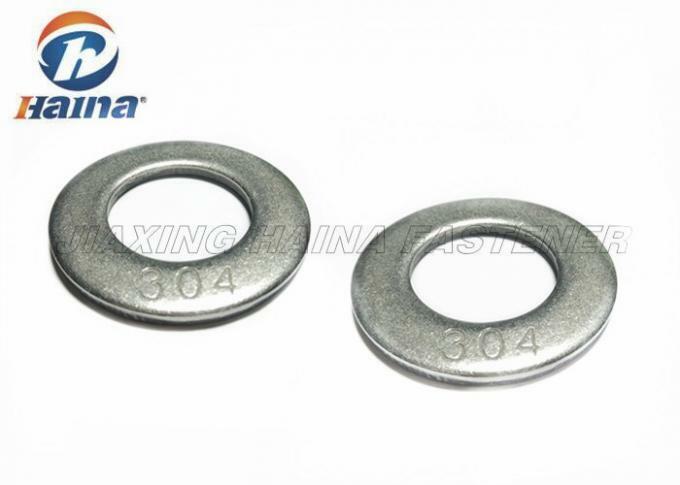 Flat washer, also known as plain washer, mainly iron plates punched out, the general shape of a flat washer, a hole in the middle. The pore size specifications according to customer requirements are generally given.Flat washers generally thin pieces of various shapes, to reduce friction, prevent leakage, isolate, prevent loosening or dispersed pressure. 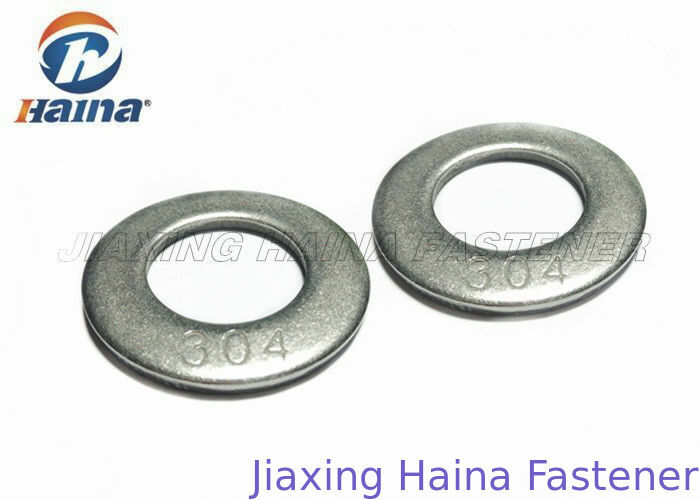 Flat washers are mainly used to reduce the pressure, when some parts of the tightening axial force is large, easy to make dish washer pressed into, and then would be able to increase the hardness of the material to resolve. Many materials and structures have this part, for the performance of all kinds of similar effect. Bearing surface by a threaded fastener material and process limitations, bolts and other fasteners little, so as to reduce the stress bearing surfaces protect the connector surface, which employs a gasket. Flat washers which spread a load and prevent damage to the surface being fixed. Acturelly, a flat washer may be used when the hole is a larger diameter than the fixing nut. A flat washer with a large outer diameter. These are commonly used in auto-body repair, sheet metal, plumbing, and electrical applications. Washers are also important for preventing corrosion, particularly by insulating steel screws from aluminium surfaces. 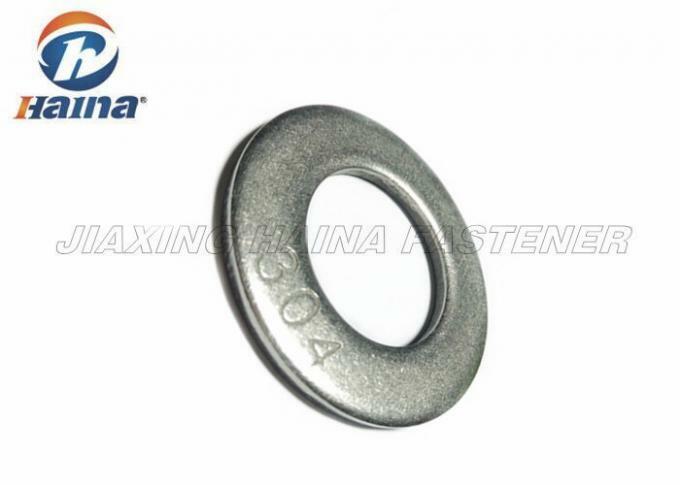 A washer is a thin plate with a hole typically in the middle that is normally used to distribute the load of a threaded fastener,such as a screw or nut. Other uses are as a spacer, spring wave washer, preload indicating device, locking device, and to reduce vibration. Washers usually have an outer diameter about twice larger than their inner diameter. Washers are usually stainlss steel or carbon steel or plastic. High-quality joints require hardened steel washers to prevent the loss of pre-load due to the torque is applied. Flat washers are mainly used to reduce the pressure, when some parts of the tightening axial force is large, easy to make dish washer pressed into, and then would be able to increase the hardness of the material to resolve. General Fastening applications where need high strength and superior corrosion resistance. Typical applications Construction, Machine repairs outdoor. Designed for using in high-stress and high-strength applications. Hop dip galvanized offers corrosion resistance and protection. Common chioce for fastening, which provide high tensile, offering high holding power and corrosion resistance. We stock many grades of fasteners ranging from low carbon steel on up to hardened, heat treated steel. Competitive prices with professional factory supply. Perfect fastening solution with 10 years experiences to solve your problem: Wide range of parts selection. Durability testing and critical technical design to enhance fasteners lifetime.